The Cover-Pools automatic cover is the easiest way to keep your pool covered. Simply turn a key or press a button, and your pool is protected in under a minute. The powerful mechanism and motor contribute to the most advanced cover system on the market. It’s available exclusively from Cover-Pools. New and existing pools of virtually any shape or construction can be covered using Universal or Snaptop Universal. You simply need enough deck room to run the low-profile tracks parallel to one another on opposite sides of the pool. Universal track is installed on top of the deck surface. The Save-T® 3 (big RED™), our latest model of automatic pool cover, is the toughest system on the market today, available exclusively from Cover-Pools. It is the elegant workhorse of the pool cover industry. Our premium Quad-Core fabric is offered in eleven standard colors. Please see actual fabric sample when making color choice; colors may vary. The Autosave spa and swim spa cover offers the same safety and energy-saving benefits as a full-size automatic pool cover with a more compact mechanical system. Designed for space-restricted installations, the Autosave safety cover can be used on new and existing spas, swim spas, and small pools. 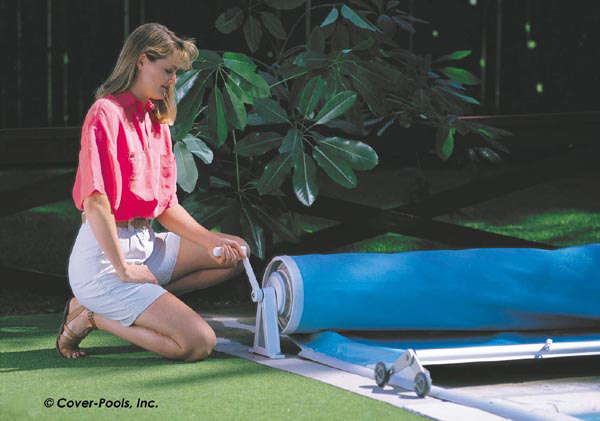 The spa cover reduces water and heat evaporation and is convenient for daily use on your spa, swim spa, or small pool. It works particularly well for indoor swim spas to replace the need for expensive dehumidification equipment. To access your spa, simply turn a key or use your keypad and the Autosave spa cover retracts to reveal inviting water—no need to struggle with any cumbersome covers. When you’re finished using the spa, you can cover it just as easily. The Autosave cover system uses a compact and efficient offset motor to power your spa, swim spa, or small pool cover.